The Vera Wang brand is known all over the globe for its unique mixture of modern designs and traditional elegance. Its founder, Vera Wang was born in New York in 1949. She used to work at Vogue as a senior fashion editor for 15 years and also as a design director at Ralph Lauren. Shortly after designing her own wedding dress, she founded a bridal boutique and launched her very own collection. Today, she is famous in all parts of the world; apart from wedding dresses, she designs home products, fashion accessories, lingerie, and of course, jewelry. Wang’s name quickly became a synonym for sophistication and luxury. When it comes to her jewelry line, she cherishes elegance and simplicity. Her jewelry aims to enhance the beauty of her brides. In addition, her designs are timeless, and they will be appreciated in years to come. Her design philosophy stems from the classics. Creating an exclusive, fine jewelry collection was a natural next step in her career. Her pieces feature blue sapphires, unique designs, and symbols of eternal love. 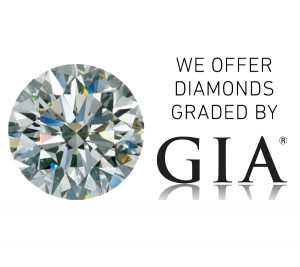 All diamonds are hand set and of high-quality. Selling designer jewelry can be trickier than you might have thought; especially if you don’t know where to go. Luckily, The Gold ATM, Atlanta’s highest-reviewed diamond and gold buyer, can help you get the best offer for your designer pieces. With over 250 five-star reviews on Google, we are the most trusted jewelry buyer in the area. We buy designer jewelry, such as Vera Wang, Tiffany & Co., David Yurman, Cartier, Bvlgari, and many more. What’s more, we offer low-interest jewelry loans on all designer jewelry. Our rates are the best in Atlanta; you can be sure that nobody will top our offers. So, if you are looking to sell your Vera Wang jewelry, you have come to the right place. We offer top prices to anyone who wishes to sell their fine jewelry pieces. In addition, you can pay us a visit, and we will provide a free jewelry evaluation. Our customers like us to lead them through the evaluation process and show them the finer details of their pieces. Also, you can always count on an honest evaluation and a fair offer. Safety is one of our main concerns; that’s why we provide all of our services from safe and secure office settings. Moreover, our environment is entirely pressure-free; you are under no obligation to sell if you are having second thoughts.